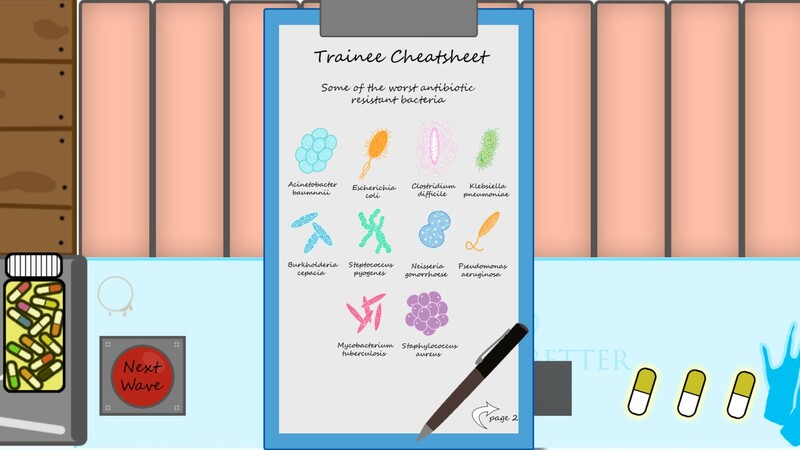 Pilltastrophe was made for the Games for Better 48 hour game jam. It is made to help teach people about antibiotic resistance. 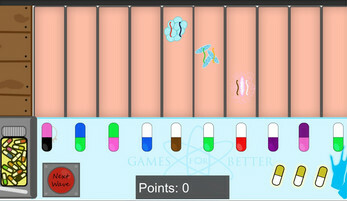 The aim of the game is to use the correct antibiotics on the bacteria. Each bacteria have two DNA strands, these will have their own colour and represent what colours they are resistant to. Each antibiotic will also have two colours. 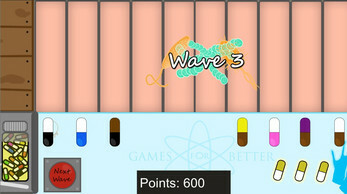 You have to select a pill which has neither of the two colours the bacteria strands posses and use it on the bacteria. If you get it wrong you use up a last resort antibiotic which you only have 3 of! You are also timed each wave which adds a lot of pressure. This represents the short amount of time doctors have to decide if thier patient needs antibiotivs or not.